This week I’ve decided to give a mention to the campaign as it’s the first year I’m taking part, despite having noticed the hashtag popping up last year across various feeds that I follow. It’s a simple initiative created by Joanne Hawker, a British Illustrator who wanted to shine a light on the people behind the products. 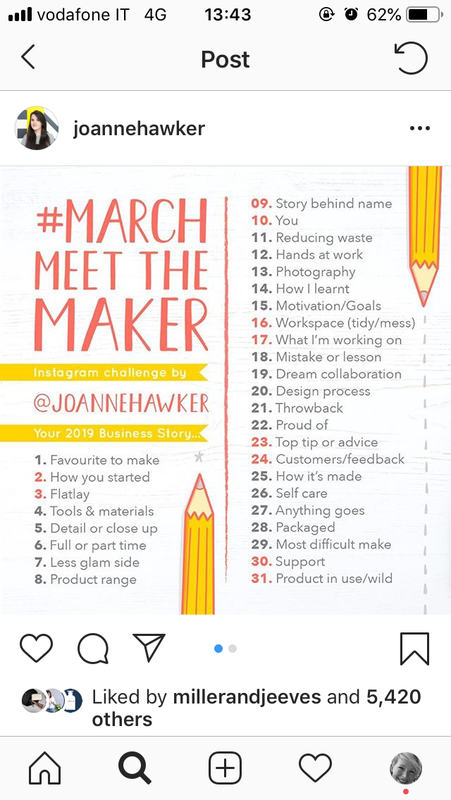 Every day throughout March there’s a theme for posting content ranging from ‘you’ and ‘goals/motivation’ to ‘workspace’ and ‘product range.’ Each topic is open to individual interpretation and is a chance to reveal a little more about who you are and what you do. So why does that matter? Well, because in a world where online shopping and big chains dominate, small businesses have to work even harder to be heard above the noise and to build a loyal following. 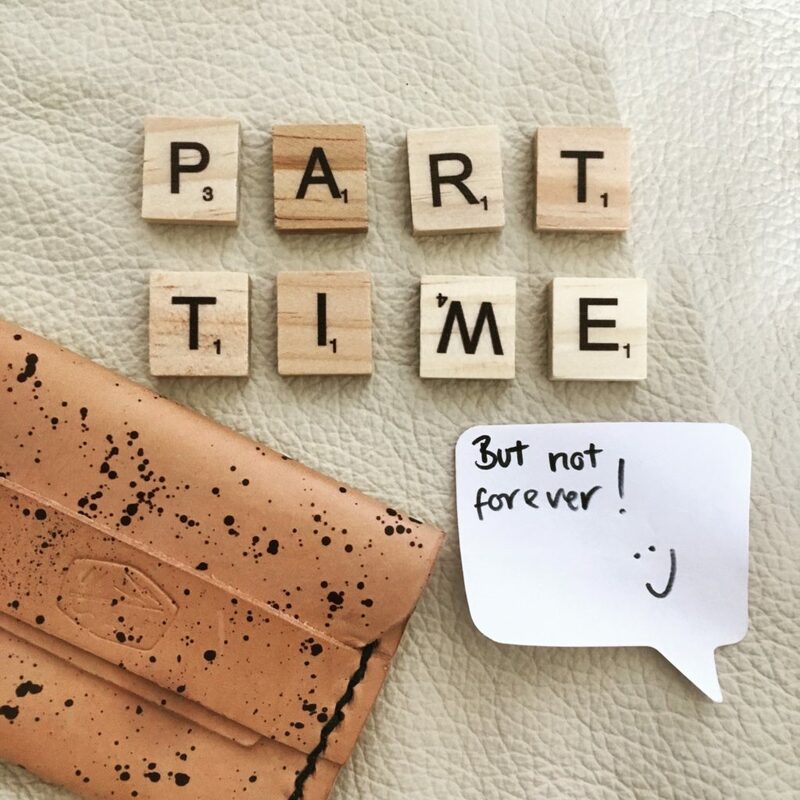 They will often be beaten on price by bigger stores (who buy huge volumes of mass-produced items) so their strength lies in sharing their stories and creating real, long-lasting connections with customers based on values such as honesty, creativity, passion for their work and often going the extra mile in terms of service. 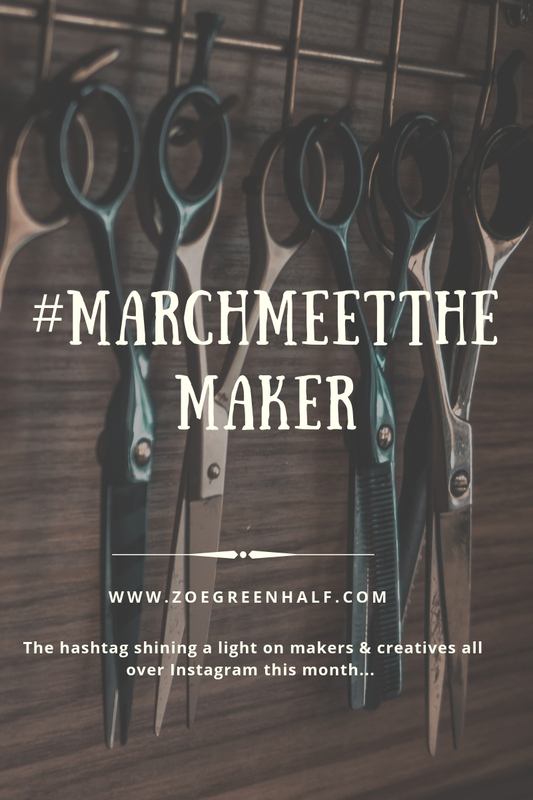 #marchmeetthemaker is an amazing facilitator in terms of helping to create those connections. 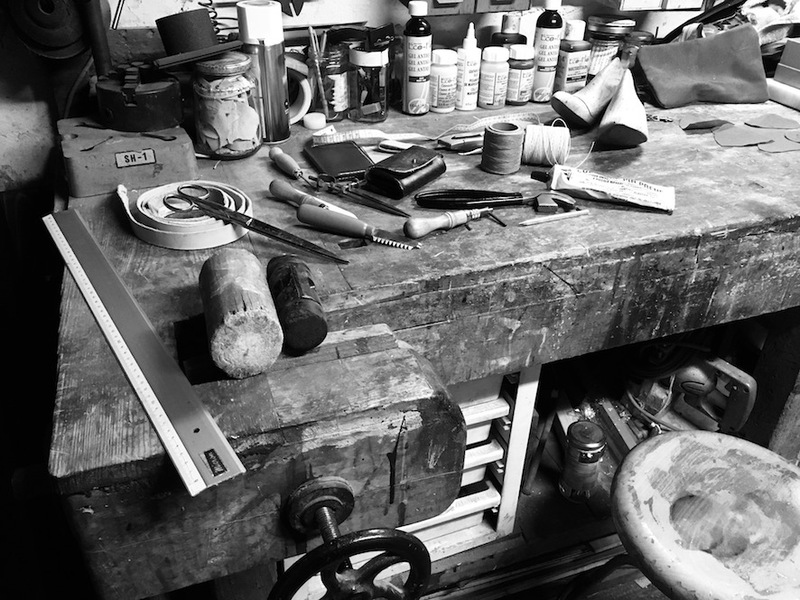 A potential customer has their interest sparked by the story of how the maker started out for example, which then leads to a follow on social media, and in turn an eventual visit to their Etsy store or website to make a purchase. 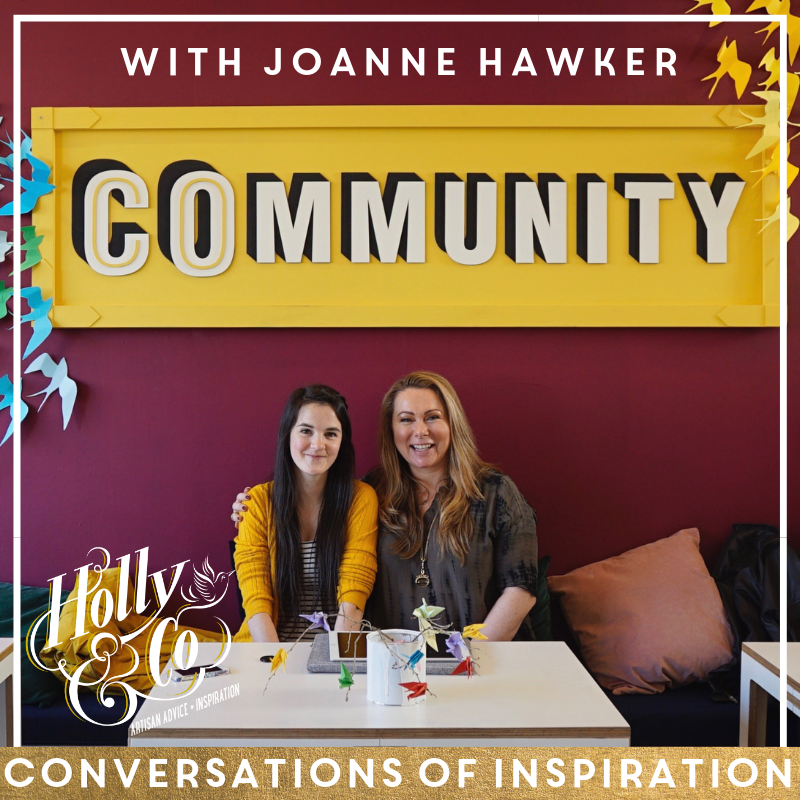 I’ll be honest, I knew very little about Joanne or her idea until I tuned into the Conversations of Inspiration podcast episode where she chats to Holly Tucker about how it all came about. No spoiler alert, just go and give it a listen! If you enjoy supporting small creative businesses or are a small business owner yourself, jump on Instagram and type in the hashtag to uncover some amazing talent and inspirational designs. It’s not too late to get involved too so if you’re struggling for content ideas on your social media channels, or looking to build up your client base, this could be a great step towards getting your stuff seen and talked about. Now go forth and join this awesome creative movement! Previous PostPrevious ARTISAN SOCIAL LAUNCHES (WELL, SEMI-LAUNCHES)…!